This “hidden gem” of a community is filled with leaders in a number of industries and the advances in technology are often and swift. Internet bandwidth, speed and reliability have been an ongoing issue in the City of Winkler. This statement can likely be mirrored in most rural and smaller urban centers throughout Southern Manitoba, especially in relation to community growth. The City of Winkler has identified that data/internet services are no longer a luxury or “nice to have.” Our daily lives and businesses have become dependent on the internet and data services available to us. We believe it is to the point that internet and data services should be considered a utility. With that comes an expectation to keep pace and plan for increased demand. If a community doesn’t have adequate water or sewer capacity, businesses will turn away and growth will be stifled. The same consideration can be made for internet services. It is quickly becoming a determining factor for selecting a location for a home or business. We recognize that internet services are going to be a key factor for future service and growth for Winkler’s residents and businesses. The same statement is also true for retaining those very individuals. The City was approached by Valley Fiber, a dedicated high-speed internet provider, in early 2017, to form a partnership to help bring high-speed fiber service to Winkler. The opportunity of this partnership would be in providing an improved quality of service and choice for residents and businesses, and to provide a new economic opportunity (education, software and tech development, research, medical and communications) in the city. 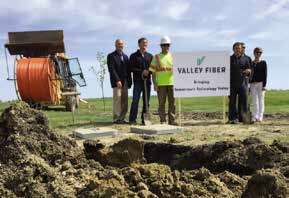 Valley Fiber noted that the technology being deployed is not a typical build anywhere in North America. It’s really a quite simple concept, however. It is slightly more costly to install and set up, but the advantages of the delivery method far outweigh the costs. The most common way to deliver an internet connection to a home or business includes taking a single line and splitting it between multiple houses. This is why so many people experience a drop in connectivity at peak times when multiple users are all contributing to a shared bandwidth at the same time. Providers use the term “up to speeds” when deploying this method. This often creates a lag as the single line is trying to handle all of the bandwidth from multiple sources. Valley Fiber provides each home or business with its own dedicated line. This is how they’re able to provide guaranteed speeds, not “up-to” speeds. The electronics being used by Valley Fiber allows for 10 Gbps of service to every single subscriber. As part of a plan to improve the city’s existing services and provide for future growth, the city invested $500,000 to construct a private core network for the its own use. In addition, the city provided land to help establish a Data Centre and provided assistance in the planning and restoration work through its Engineering Dept and Works & Utilities departments. “Not only will this be our central office, this is also going to become the core location [for] anybody looking to secure their information,” CEO Hank Wall says. The building, or bunker is made of concrete (walls and roof) and it has multiple layers of security. Additionally, multiple power sources act as a safety net for the bunker, which is poised to keep information secure. Wall notes that, “instead of taking a technology and limiting what it can do, we’re busting the doors wide open. We’re bringing that next generation today. I’m very happy to say that Winkler is becoming a technological hub.” (Winkler Times, October 26, 2017). 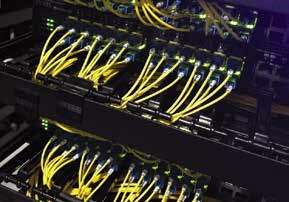 The data center is built to be a Tier 3 facility and is registered on the international market. By working together in this project, the City of Winkler and Valley Fiber have benefitted by the co installation of the data network infrastructure. 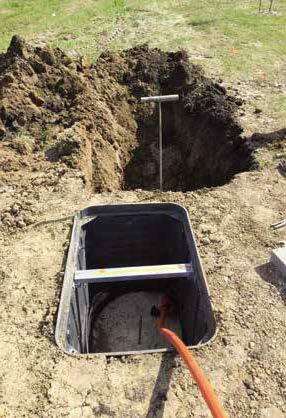 By installing our infrastructure together in shared trenches and vaults, both parties benefited in the shared installation cost and efficient use of space in the right-of-way. Right-of-way space is a precious commodity for the city to ensure it protects its water and sewer utilities, as well as allow for efficient transportation and pedestrian traffic. The city has also gained a privately-owned network to use without obligation. Had we pursued this project on our own, the costs would have been considerably higher and could have presented a situation that caused both Valley Fiber and the city to work against each other. Cooperation between the city and Valley Fiber to coordinate this project has been a key factor to its success. Through active collaboration, planning and information sharing, many costly pitfalls and potential issues have been avoided. To date, the city and Valley Fiber have laid down infrastructure throughout much of Winkler and installed connections in many homes and businesses. The continued plan is to complete the infrastructure and installation throughout Winkler in the 2018 calendar year, followed by an expansion to a number of surrounding communities. The responses from residents in these surrounding communities shows opportunity for the next stage of growth. The future is bright. Together, the initiatives of the city and Valley Fiber are creating a desirable landscape for residents and businesses in the Pembina Valley. Either to expand their operations in, or relocate to, this is a foundational move in creating a lucrative and sought-after tech hub right here in Southern Manitoba. Both the City of Winkler, and Valley Fiber are working towards creating an ecosystem extremely attractive to tech companies, creating a new identity for the Pembina Valley as a tech leader. The dedicated fiber build not only levels the playing field for users outside of urban centers, but rather, creates an advantage.